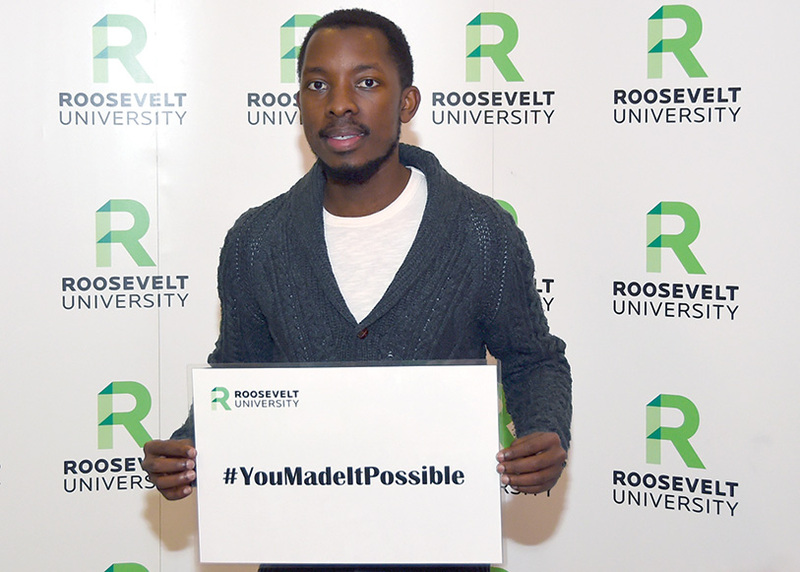 When you attended Roosevelt University, there is a good chance you received help in the form of scholarship dollars either from an individual who established an endowed scholarship or directly from the University. 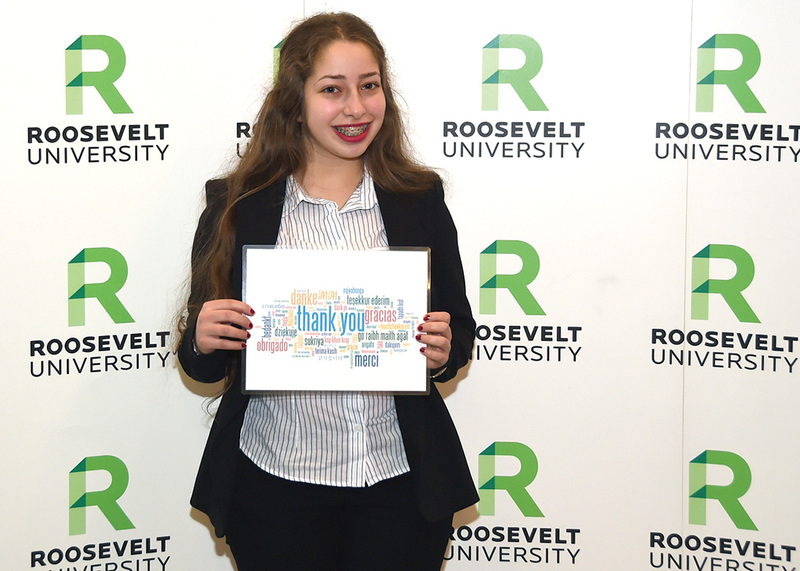 Thanks to the generosity of Roosevelt’s alumni and friends, scholarship dollars continue to provide the financial assistance that contributes to students’ success. Our students are committed to the power of education and social justice practices that have defined Roosevelt since its founding in 1945. While they sometimes face challenges as they figure out how to meet financial needs, juggle work schedules, academic workloads and personal lives, these students also are extremely grateful for the financial assistance they receive — as you will see from their comments. The stories shared here are about scholarships received both from endowed funds, which provide educational dollars in perpetuity, and annual scholarships, which are funds received for immediate use. 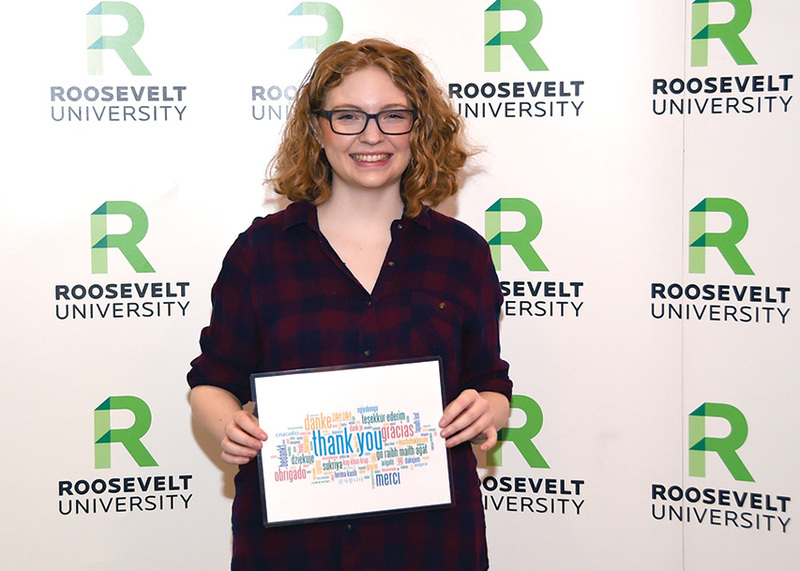 Endowed scholarships and general scholarship money provide our students with the means to continue toward their goal of joining the ranks of proud Roosevelt University alumni. Many of our students are the first in their families to go to college. They embrace the University’s mission and work very hard to obtain their degrees, and scholarships help them achieve their educational goals and dreams. You can help today with a gift toward annual scholarships through the general scholarship fund. Please give online at giving.roosevelt.edu.